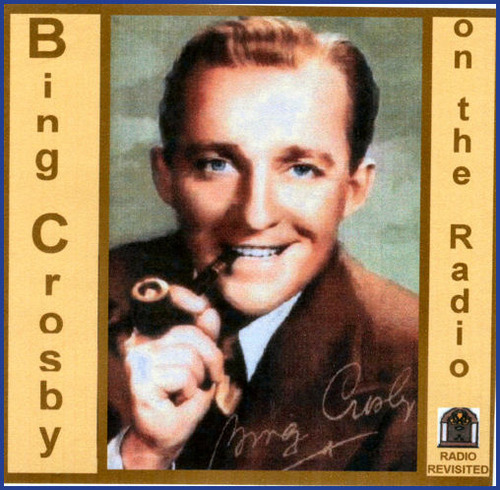 Bing Crosby played a key financial role in the rise of tape recording because he wanted to spend more time playing golf. Milner tells the curious story of the advent of recording tape—the next medium on which sound would be captured. The sequence of events that led to the adoption of tap is so accidental and convoluted that its invention and adoption were far from inevitable. Just before WWII, Jack Mullin, an engineer from California, tried recording onto various mediums other than discs, but with limited fidelity or success. When he was stationed overseas during the war, he sometimes heard broadcasts of radio programs featuring German symphonies. Nothing unusual about that: lots of radio stations had their own orchestras that played live in large studios or theaters, and those performances were primarily broadcast live. The odd thing was, these “performances” were happening in the wee hours of the morning, and Mullin heard them when he was working late. So unless Hitler was commanding orchestras to perform in the middle of the night, Mullin’s only conclusion was that the Germans somehow had developed machines that could record orchestras with such fidelity that on playback they sounded live. Through a happy accident, Mullin ended up in Germany right after the end of the war, and someone said that those radio transmissions had come from a town near where they were stationed. Mullin went to look, and sure enough, there were a couple of tape machines that had been modified in such a way that their fidelity vastly improved on what any other existing technology could achieve. German technical innovations, like their rocket technology, were now free for the taking, so Mullin dismantled one of the machines and had the parts sent to his mother’s house in Mill valley. When he got back to California, he reassembled the machine, and in the process figured out what the Germans had done. Among other things, they had added a “bias tone” to the recordings—a frequency that you can’t hear but that somehow makes all the audible frequencies “stick” better. Mullin eventually put these machines to work, and he discovered that in addition to being a good recording medium, tape also opened up some unexpected possibilities. If a radio announcer flubbed a line, Mullin could edit out the mistake by splicing the tape. You couldn’t do anything like that on disc! If a comedian didn’t get the same laughs he got on his run-through, then, assuming the run through had been recorded, the laughter from that performance could be spliced into the “real” performance. The birth of the laugh track! Furthermore, laughs could be reused. “Canned” laughter could be added to any recorded program if the live audience didn’t yuk it up sufficiently. The use of editing and splicing meant that a “recording” no longer necessarily represented a single performance, or at least it didn’t have to. The beginning of a song, for example, could be from one “take” and the end from a take done hours later. The broadcast version could even be the result of performances that had been done in many different places spliced together. The elements of a “performance” no longer had to be rooted in contiguous time or space. After seeing a presentation by Mullin of his tape recording device, Alexander Poniatoff formed a company, Ampex, to make more tape machines based on Mullin’s designs. The banks, however, wouldn’t give Amex the loans they needed in order to get things up an running—constructing the early machines required considerable capital—so it looked bad for the future of tape-recording. Around this time, Bing Crosby, the singer who had mastered an innovative use of microphones, was getting tired of having to do his very successful radio show live every day. Bing wanted to spend more time playing golf, but because his shows had to be done live, his time on the links was limited. Crosby realized that by using these new machines to record his shows, he could conceivably tape a couple of shows in one day and then play golf while the shows were being broadcast. No one would know the shows weren’t live. He asked ABC radio if they would agree to the plan, but when they saw Poniatoff’s “factory”—which was a complete shambles, with parts scattered all over—they said no way. So Crosby wrote a personal check to Ampex that guaranteed the machines would start getting built. They did, and after Crosby’s initial order, ABC soon ordered twenty more. The era of tape recording, and all the possibilities that went with it, was under way. So why do the rich keep trying to acquire more money, long past the point at which it can make any noticeable difference to their lifestyle? I have three answers. One: it becomes a habit. You don’t generally get to be hyper-rich without many years of continual effort; after a decade, just about anything becomes an ingrained habit. Two: it becomes a game, a way of keeping track of how well you’re doing at whatever it is you want to do. And three: you’re trying to build up a war chest that will buy you a very expensive toy—one that isn’t currently available at any price, so that if you want one you’ll have to sink billions of dollars and years of your own time into building it. The latter is unusual but not unheard-of. Elon Musk has repeatedly explained that he wants to retire on Mars. That’s a not-available-at-any-price option right now, but he’s definitely serious about it; which is why he sank most of a gigantic fortune into building his own space program.